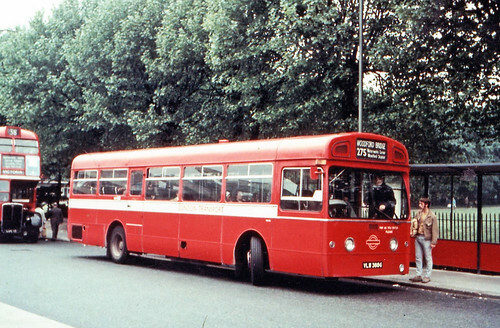 The total running time from Woodford Bridge to Enfield Town at this time was 69 minutes - I doubt if this could be achieved in a car these days. Saturday only Tottenham (AR) allocation added. Saturday only Tottenham (AR) allocation withdrawn. RM217 parked at Woodford ? Withdrawn between Walthamstow and Enfield and diverted instead to Walthamstow Central Station - withdrawn section replaced by revised 123. Extended from Woodford Bridge to Claybury Hospital except Mon-Fri peaks times. Diverted between Forest Road and Woodford Green as shown in italics. 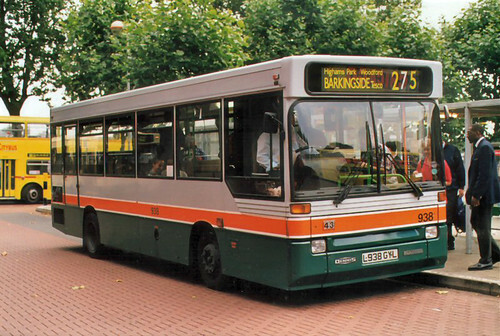 Converted to double deck operation. 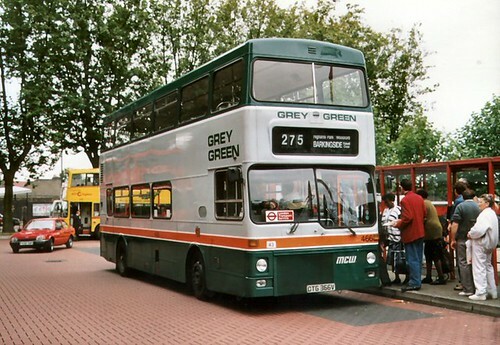 D type withdrawn in favour of Leyland Titan. 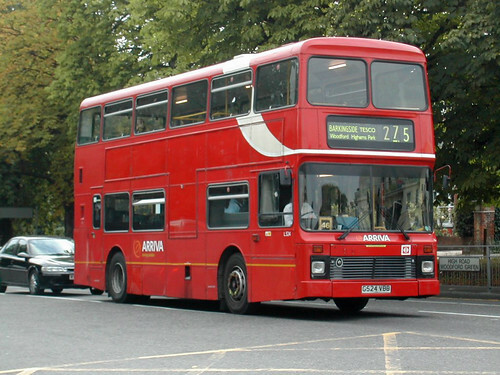 Mon-Sat allocation transferred to Leyton (T) and converted to single deck operation. 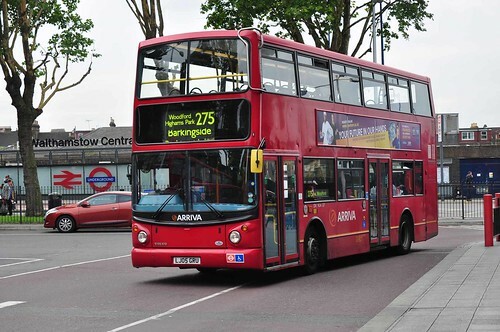 Sunday service extended from Barkingside to Claybury Broadway via Route 129. Mon-Fri school journeys introduced as above. 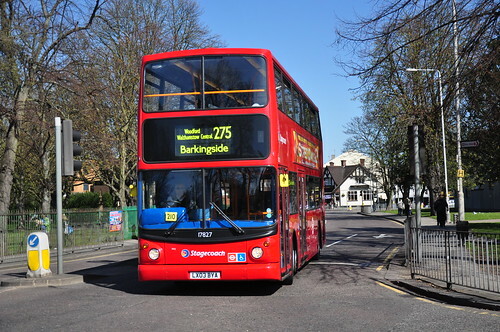 Sunday service withdrawn between Barkingside and Claybury Broadway - Route 129 introduced on this day to compensate. Extended in Barkingside to new Tesco store - Caterham High school journeys altered in that they performed a loop working via Fulwell Avenue - Caterham Avenue - and Clayhall Avenue. 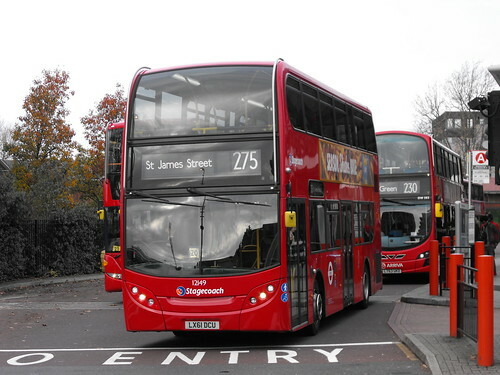 The SDO journeys serving Caterham High School re-routed via Barkingside High Street and Clayhall Avenue instead of Fulwell Avenue - Caterham Avenue and Clayhall Avenue. 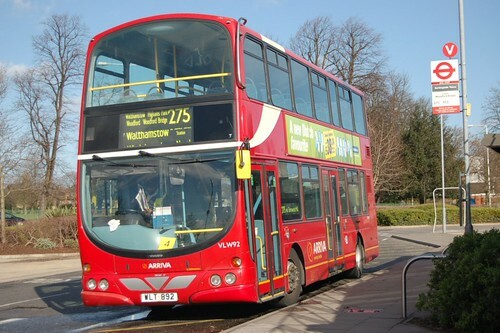 The SDO journeys to Caterham High School renumbered 675. 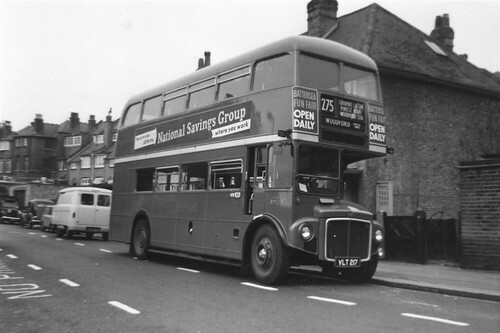 New contract Stagecoach East London from (T) Leyton Garage - part of Route 97 was moved to West Ham to make room.